« Napalm » is the story of the breathtaking and brief encounter, in 1958, between a French member of the first Western European delegation invited to North Korea after the devastating Korean war and a nurse working for the Korean Red Cross hospital, in Pyongyang, capital of the Democratic People’s Republic of Korea. Nurse Kim Kun Sun and the French delegate had only one word in common, that both could understand : « Napalm », hence the title. 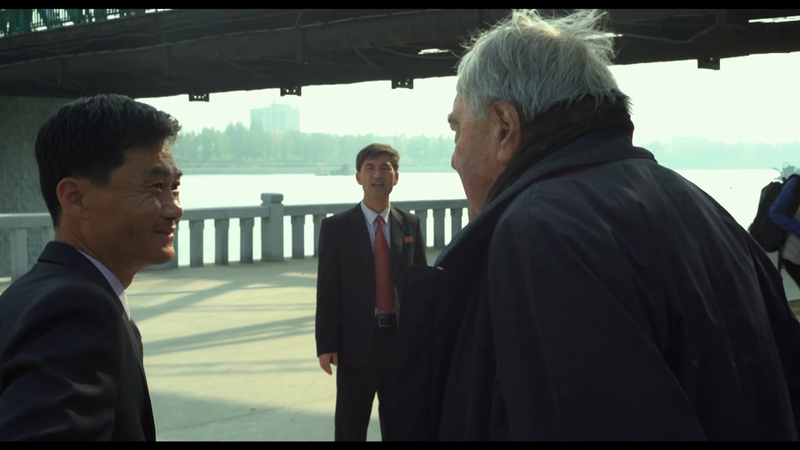 Claude Lanzmann returned to Korea without the permission to film and each take represents an extraordinary victory over the permanent control of the regime’s political police. He discovers the real reasons for his return, sixty years later, in the peninsula of this extreme North.